How a charming kid with a bright future became a monster? Will the forthcoming August 1st issue of Rolling Stone enrage? Rolling Stone’s cover about the Boston bombing has sparked wave of condemnation with the image of the suspected bomber Dzhohkar Tsarnaev that looks like a teen idol. Good journalism or bad? 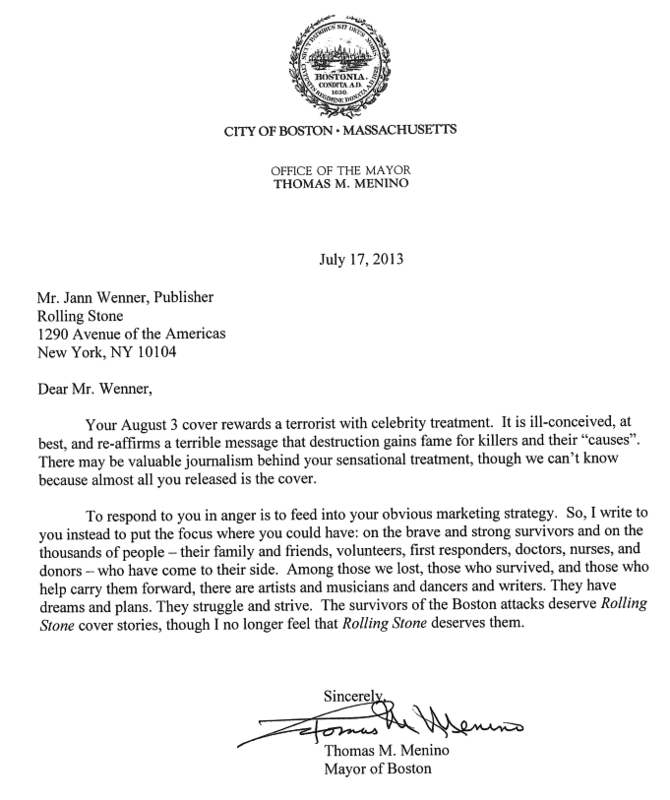 Boston Mayor Thomas Menino shot off a letter to Wenner Media, that publishes the magazine. Is the cover so out of taste? Are we so close minded that we react sharply without reading the article even, which is yet to come out? Why do we become so hostile, as we did while responding to Gujarat Chief Minister Narendra Modi’s interview to Reuters vis-a-vis ‘puppy’ and ‘Hindu nationalist’ remarks. What if the book stores refuse to sell the issue – it will then be more than a deserving controversy! Or is the image of the alleged bomber perfect, suitable and timely?